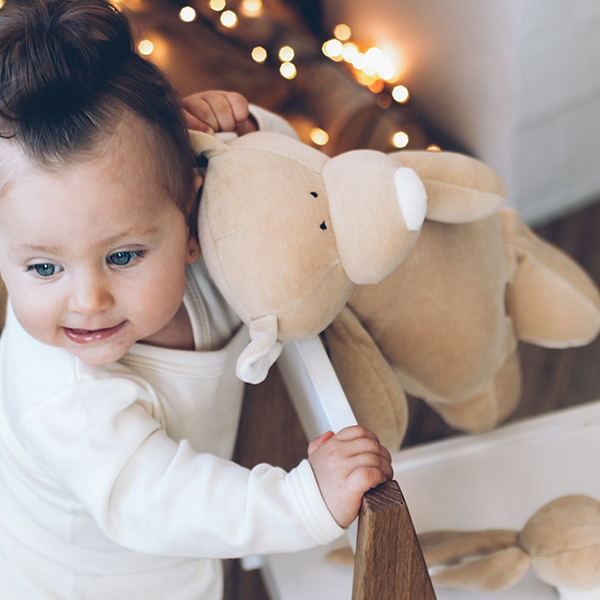 An adorable, big, soft, huggy teddy bear who is just a waiting to be a best friend for your little one. Embroidered eyes mean no small parts to worry about and minimal facial features encourage the imagination. 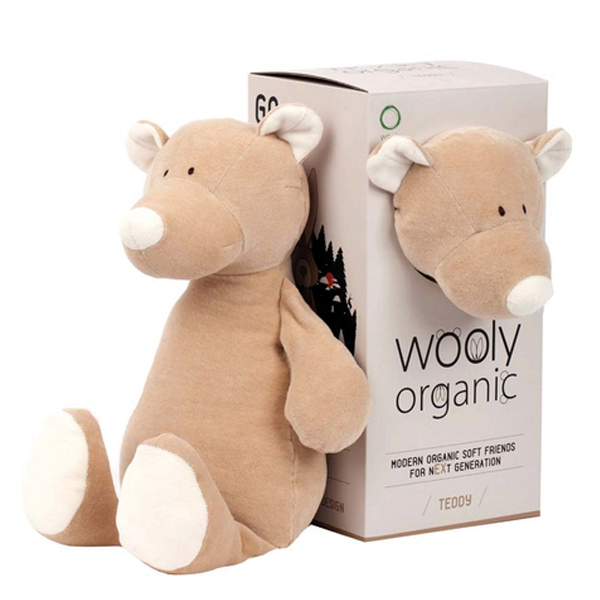 Wooly Organic’s Teddy is made from certified organic cotton and the filling is Oeko-Tex 100 certified corn fibre which is naturally hypoallergenic and anti-bacterial. 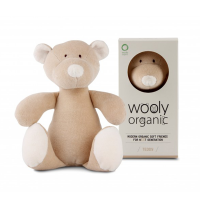 Lovely for toddlers and children of all ages, Wooly Organic’s Big Cuddly Teddy Bear comes presented in a lovely eco gift box. Recommended age from 3 months.